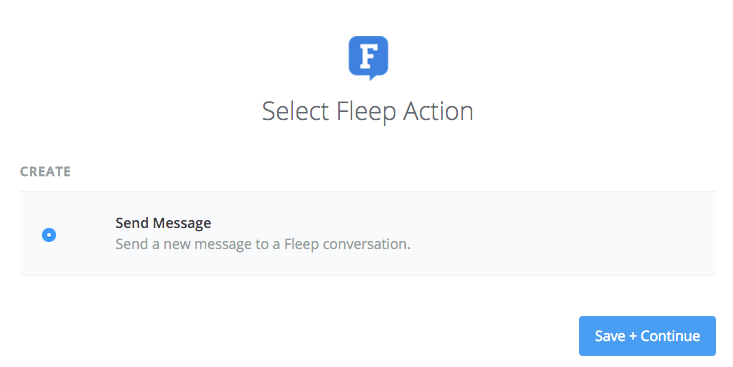 Create the Fleep conversation where you want to receive your Zapier updates. 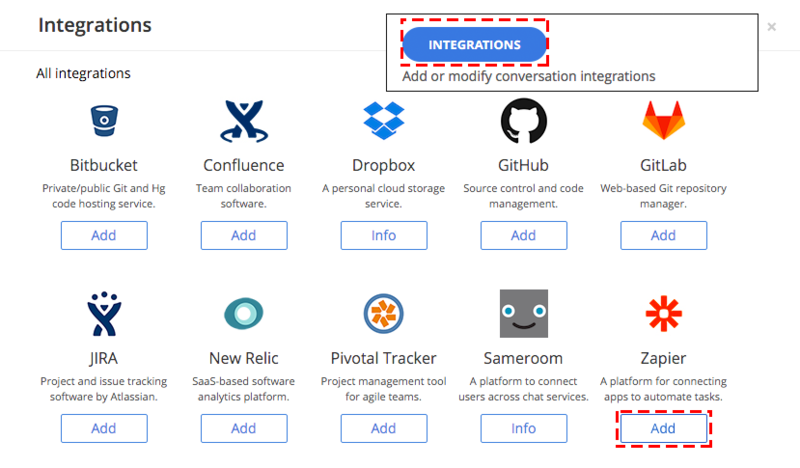 In that conversation open Conversation Settings > Integrations and click on the Add button and then Create on the next popup window to generate a new hook for Zapier integration. 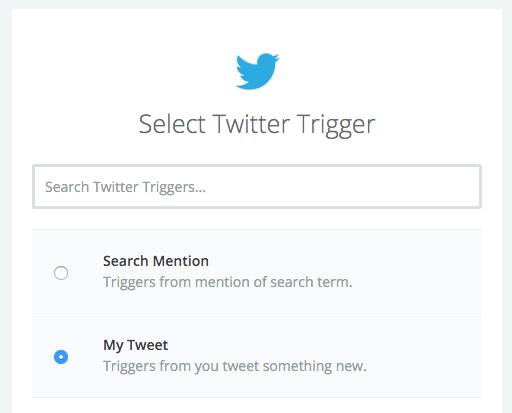 Log in to Zapier and from the Dashboard click on Make a Zap! or Make a New Zap button to start with a new update feed. 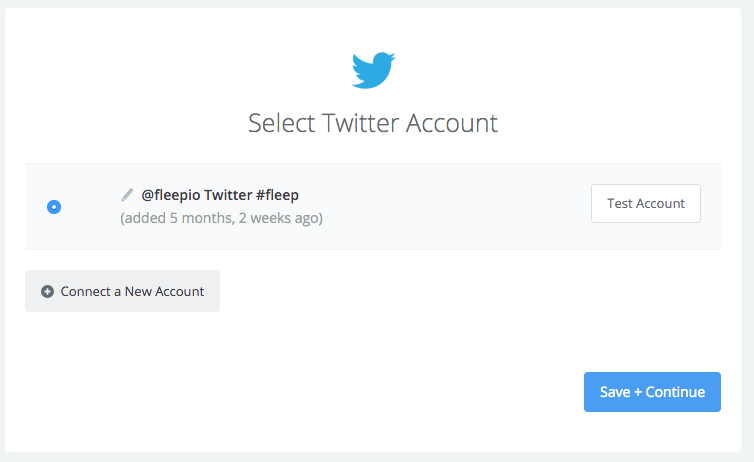 Depending of the trigger service you might have to verify the service account (in this scenario your Twitter account) and Select a Fleep account (happens automatically, don’t need to do anything). Click on Save + Continue. 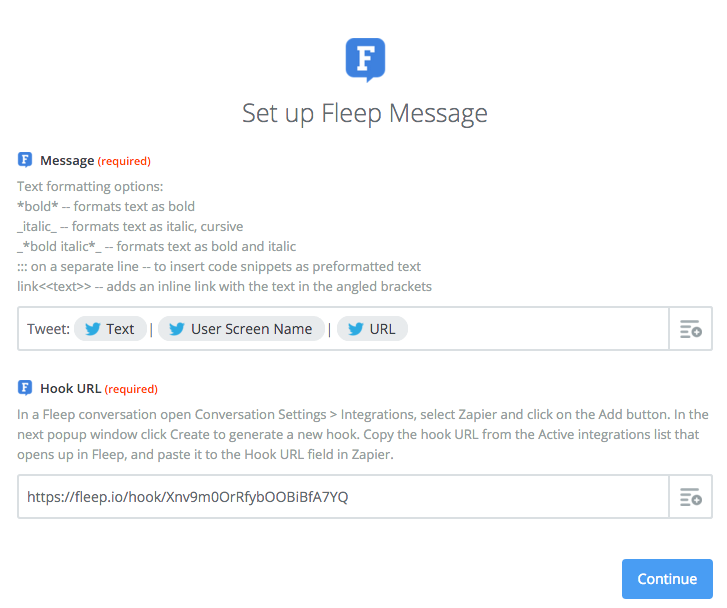 Now you have to set the format for the messages that will be sent to Fleep (in this case from Twitter account) and insert the Fleep Hook URL you previously created in Fleep. Click on Continue. And now you’re ready to test your Zap! 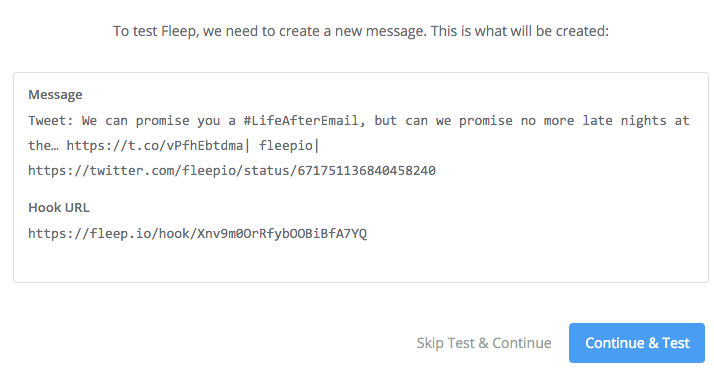 After you click on Continue & Test, you should see incoming messages to your Fleep conversation, posted by the service you just set up. Example of a Zapier notification posted in a Fleep conversation.